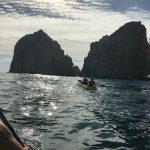 Cabo San Lucas has been on our travel radar since we first started traveling to Mexico and I’ve been a fan of Dreams resorts ever since we stayed in our first one in Puerto Vallarta. One of the biggest draws, of course, has been their onsite beach bars. 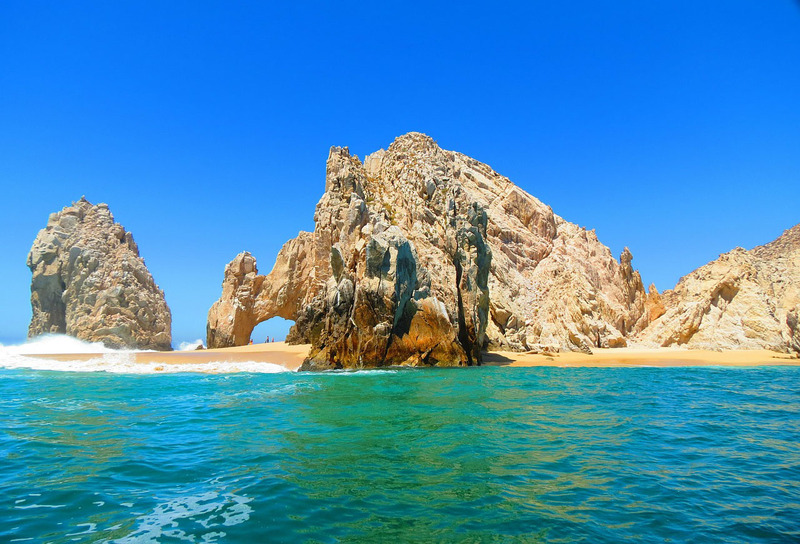 Shannon Deissig recently paid a visit to the Dreams Los Cabos and in addition to her review of the resort, she offers travel tidbits for anyone looking to explore this tropical getaway at the tip of Baja California Sur. 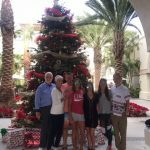 This was not our first trip to Cabo, but we were looking forward to it because it was with lots of family, including my grown children, and it was for 8 days! The pool/entertainment staff, cleaning staff, greeting/concierge staff and bar staff were amazing. If not for them, I would have been much more cranky during this trip. They were friendly, engaging, energetic and just all around pleasant folks. The beach bar, Barefoot Grill, was a beacon of light on this otherwise “dark” resort for us. 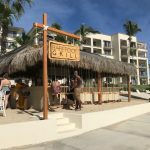 Complete with swings and great service, we enjoyed hanging out there during our days at the beach and pool. 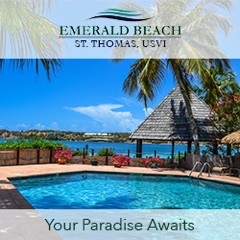 The pool areas, while relatively small with limited seating, were at least pretty, clean and overlooked a gorgeous beach. We spent several days poolside and a couple lounging on the beach. This was enjoyable and away from the glaring eyes of security. 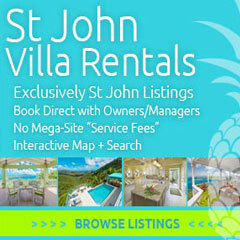 The rooms were gorgeous, spacious, newly updated and all offered fantastic views. 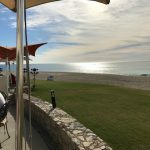 Our room was oceanfront and we loved every second of our time on our balcony overlooking the Sea of Cortez. Although small, this little beach bar is fabulous. Great location, cute swings and stools and great service. Ask for them to be creative with your drinks or shots and you will not be disappointed. We loved this little resort oasis and spent quite some there drinking, eating and chatting with the bar and wait staff. It was definitely a high point of our time on resort. This. Was. Amazing. 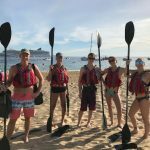 They pick you up at your resort (or cruise ship if you cruise in) and bring you down to the harbor right in Cabo San Lucas. After a brief but thorough instruction session, you are off in the water. Round trip, I’d say it’s about 3 miles of kayaking, which was lovely on the calm waters of the harbor. The guide was great. Very friendly, always checking on us to be sure we were all OK to continue, pointing out neat little sights, etc. I loved the size of this trip as well because there were only 10 of us. 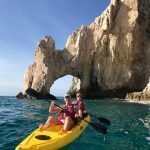 You get up close to El Arco, which is just gorgeous, and get to kayak up to the sea lions as they bark at you and each other. We even had one swim along us for a bit! The snorkeling was far better than I had anticipated, as I am usually disappointed with snorkeling. The guide pointed out several types of fish and even dove down and brought up a puffer fish for us to see up close and personal. The length of this entire excursion was about 3 hours, which was perfect. I would highly recommend this to anyone, beginners or veterans. It was a great way to see fish, El Arco and enjoy the morning. Of course, you can’t go to Cabo and NOT at least stop in at Sammy Hagar’s Cabo Wabo bar and venue. While I’m not a tequila fan, I do love this place for the music and atmosphere. The live music has never disappointed. 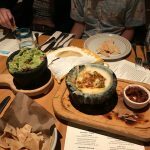 If you are a tequila lover, you will love this place. More flavors of margaritas than I can count, tons of other tequila drinks, shots, etc. If you don’t like tequila, they do have a few other options. They also offer a few appetizer/finger food type dishes which, from what I have had, are good as far as bar food goes. 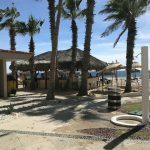 Cabo Wabo is a must do if you visit, even if it’s just to stop in to hear a good song and have a quick drink. 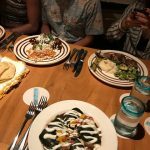 It is centrally located as well so eating before or after or bar hopping is a cinch once you are there. Definitely check it out! The last part of my trip that I’ll write about was an absolutely amazing restaurant. 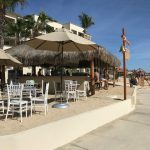 Hacienda Cucina is in the Hacienda Beach Resort right in downtown Cabo San Lucas and right on Medano Beach. I am not a Mexican food fan, but this was the best I’ve had. I ate everything on my plate(s)! The ambience is perfect. Our table was literally right on the beach – we had to walk on sand to get to our little patio with our table which was no more than 20 feet from the water’s edge – just gorgeous! 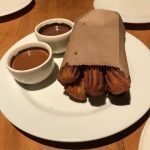 The food was to die for and you MUST get the churros for dessert which comes with a delicious dulce de leche dipping sauce as well as a chocolate sauce made by the grandmother of the restaurant’s owner. It is a must have. All in all, a successful trip, but I would stay somewhere different next time. 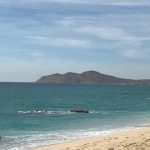 The rest of our experiences in San Jose del Cabo and downtown Cabo San Lucas were amazing, fun and just what we expected, if not more. For more on Shannon, her travels and articles for our blog, check out her Contributor profile on the About page. Great Write up! How much of the underwater could you see from the glass bottom Kayak? I didn’t really look down much, as the sights while kayaking were beautiful ABOVE the water. But the clear/glass panel was basically the entire area where you put your feet, so I don’t think they could make it much larger. I did glance down a few times on our paddle out of the cove and saw schools of fish. It was an amazing excursion that I highly recommend. Let me know if that helps and if you have any further questions! Thanks for the info on kayaking, Larry. That’s good to know!